Disclosure: A copy of this book was received for review purposes only. Any opinions are my own. 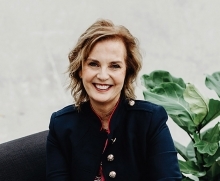 Lenya Heitzig started an amazing movement to encourage and empower people across the globe to stand up to the terrors of this world and she tells us all about it in her new book Reload Love. 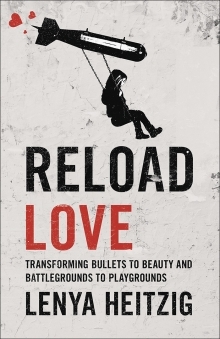 In 2014 Lenya launched Reload Love, a ministry which touches the lives of children affected by terrorism. This ministry raises awareness by collecting spent bullet casings, melts them down and upcycles them into beautiful brass jewelry. Reload Love also provides relief supplies, educational supplies, school supplies, playground equipment, food, drinking water, clothing, blankets, first aid kits, care packages, medical supplies and medicine to children displaced by the violence of terrorism. In the book Reload Love we travel along with Lenya through the jungles of Burma and the war-torn streets of the Middle East and experience the hope she gave to so many hurting children. Order a copy of this heartfelt book at: reloadlove.com or enter below to win! a ministry which touches the lives of children affected by terrorism. "Will we try to forget all the things we’ve seen? Or will we see, really see, and then let our emotions lead us into a new way of living? In this gritty, passionate story, Lenya details the epic way God answered her prayers -- how a spark came to life turning weapons of war into something beautiful. Enter below to win your very own copy of Reload Love or enter directly at our sponsor’s site at: blessedfreebies.com/reload-love.html. 5 winners will be selected on 10/30/18. Harvest House Publishing, Lenya Heitzig, and FrontGate Media. You may unsubscribe from these emails at any time.